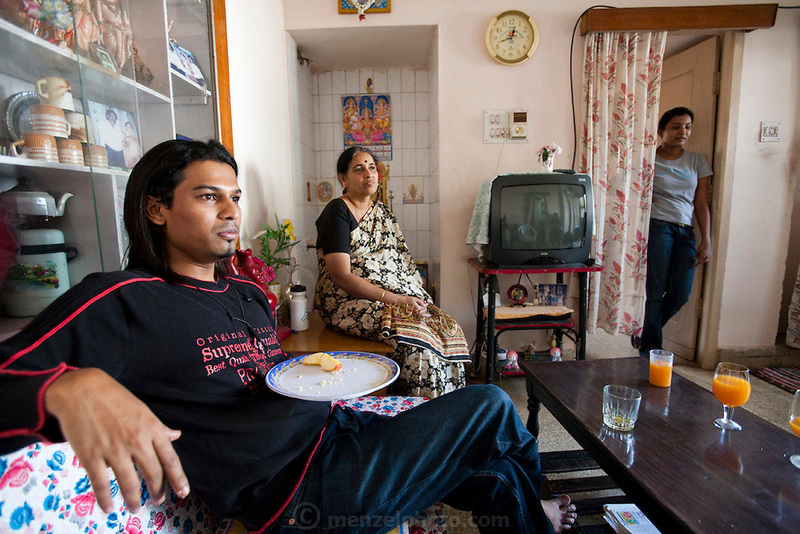 Shashi Kanth, a call center worker, eats breakfast at his home in Bangalore, India. (Shashi Kanth is featured in the book What I Eat: Around the World in 80 Diets.) The caloric value of his typical day's worth of food on a day in December was 3000 kcals. He is 23 years of age; 5 feet, 7 inches; and 123 pounds. MODEL RELEASED.